Riverdale is a small development of four modern houses built on a slope on the Sussex Downs running down to the banks of the River Ouse in Lewes. Almost hidden from view, the houses are approached via a small gap in the hedge along an unmade lane, which leads on to the historic South Malling Church, and the impressively grand Malling Deanery. Upon turning into Riverdale, a drive winds through attractive parkland dotted with trees. The houses are at the bottom of the drive, and beyond them lie the gardens. Two of the gardens are enclosed together by a wall on three sides, built of brick and topped by sweeping scalloped steps as the walls descend down the slope towards the river. Midway are two graceful brick and tile gazebos, crowned with ball finials, along with the remains of a whitewashed wall. Arched gates lead out of the walled enclosure into a secluded water garden, bordered by fruit trees, irises, roses, and weeping willows. This is ancient brookland, creatively managed by the planting of trees, and protected by an old dyke. With the high tide, the River Ouse flows in, filling an ancient drainage cut. So, what had been here before? A rose garden, and a water garden? Why was there a walled enclosure, with its gazebos and whitewashed wall? And what exactly were those arches under the patio of our house? The first indication that the walled enclosure had been a substantial kitchen garden came when Tom Petherick of the Lost Gardens of Heligan suggested that the arches under the patio pointed to the presence of a former vinery. The arches allowed the roots of the vines to extend into the cool soil outside of the hothouse.2 It would appear that our house had been built partially on the hard standing of a large hothouse. This find was followed by extensive historical research. 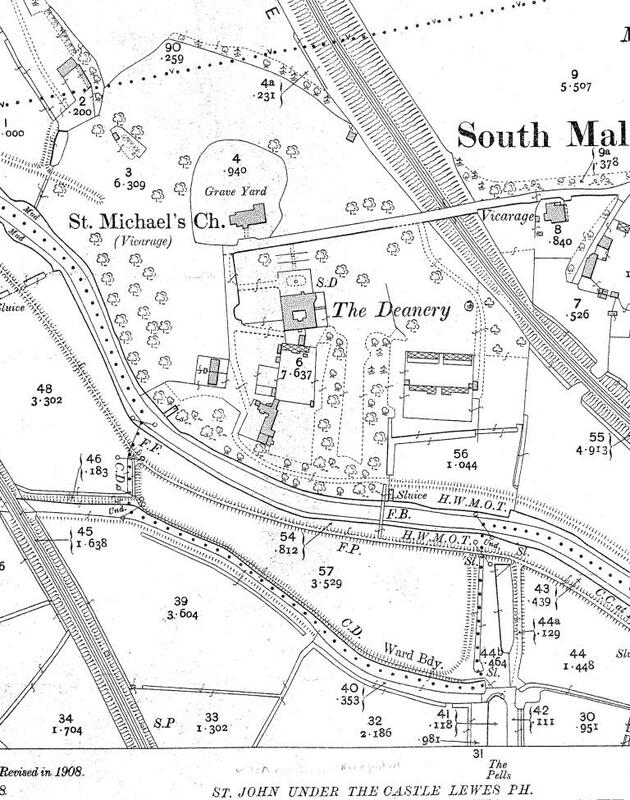 Our house Deeds indicated that Riverdale had been part of the Malling Deanery estate, dating back to 1623. A reading of the secondary sources, and discussions with History Group members and neighbours led me to the Library of the Sussex Archaeological Society. 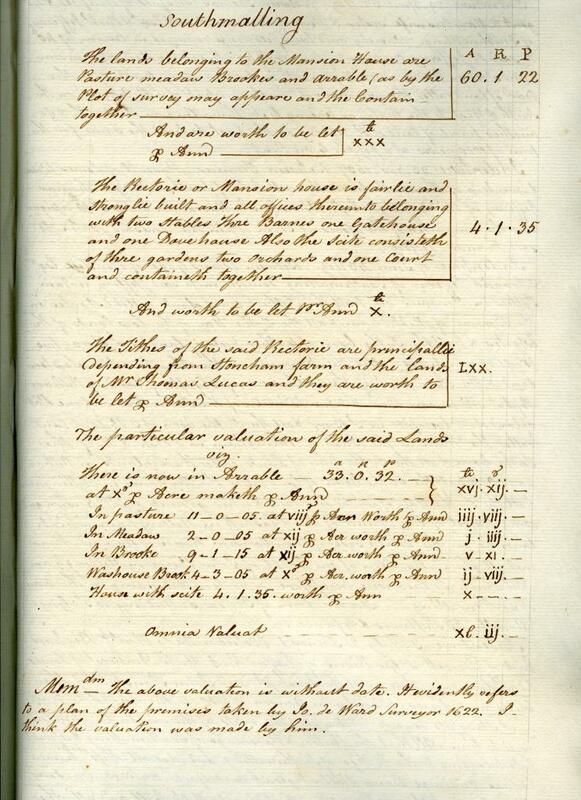 There I found a wealth of primary resources, such as the Deeds and associated documents for Malling Deanery. From these, and the collections of the East Sussex Records Office, Lewes Library, newspaper archives, and the Lewes District Council planning records, I have managed to uncover the story of Riverdale and its gardens, and have discovered some intriguing stories about Malling Deanery along the way. This detailed section of the intricate and beautiful drawing shows the ruins of a church, set north of a large house and outbuildings, all surrounded by fields, brooks, and what looks like very ordered gardens planted in regular beds, and regiments of trees. 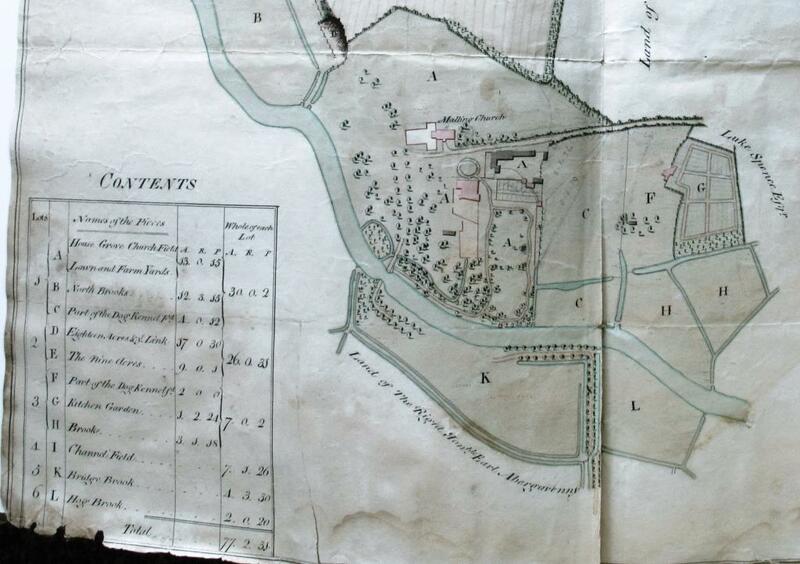 A valuation of the estate, clearly linked to this map but found in another publication, states: “The Rectorie or Mansion house is fairlie and stronglie built and all offices thereunto belonging with two stables three barnes one gatehouse and one Dove house. Also the scite containeth of three gardens two orchards and one Court.”4 To the east, and running the length of the land north to south, from the level of the Church down to the river, is an area marked Greene Croft Meadow. Near the bottom of the meadow is a familiar drainage cut, and between this and the river, is a planting of trees. 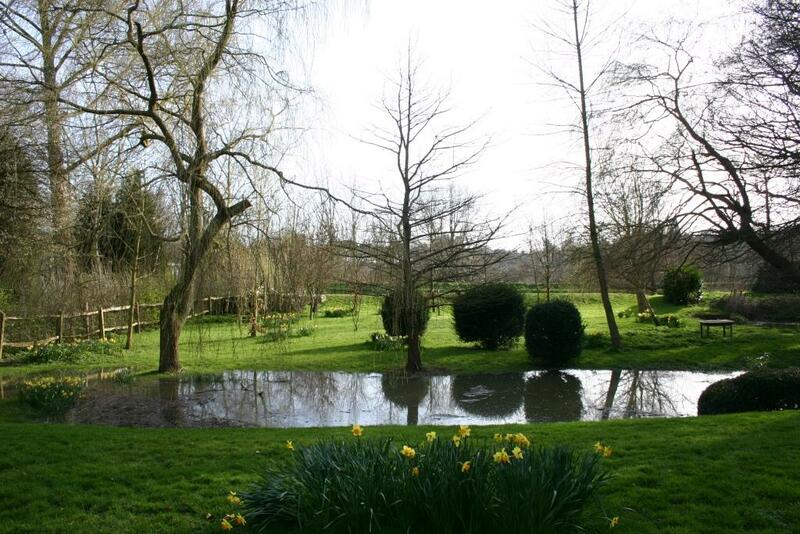 The valuation document describes this as land “In Meadow” with an area given as 2-0-5 (2 acres, 0 roods, 5 perches). Could Green Croft Meadow have been the early Riverdale? 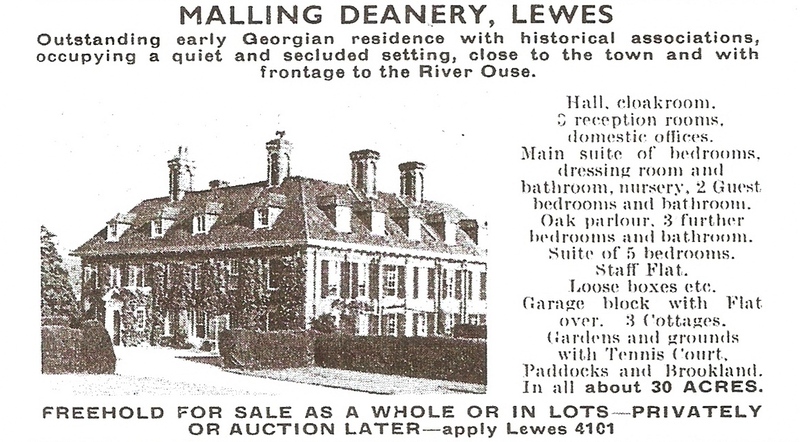 Valuation of Malling Deanery, attrib. John DeWard 1622. Woollgar’s Spicilegia Vol. II. By kind permission of Sussex Archaeological Society, Barbican House Museum. Kempe may well have been referring to the deWard map, but there are no fish ponds on this map, unless he meant the drainage cut situated in Green Croft Meadow. However, as we will see on a succession of later maps, this cut has largely remained unchanged since 1622. 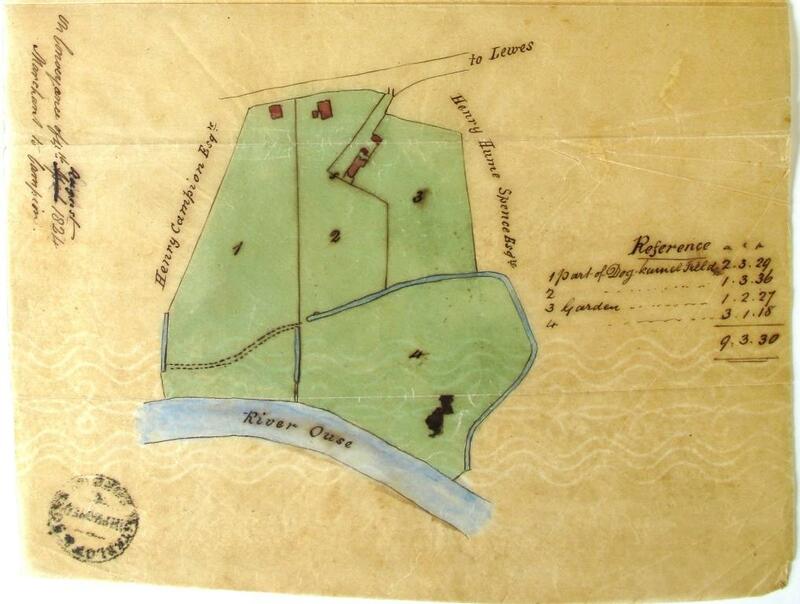 We will also see how Green Croft Meadow evolved to become today’s Riverdale, which was formed of Green Croft, and part of the land to the East labelled Scotson. For the moment, this overlay of the 1622 deWard map onto Google Earth shows Green Croft Meadow forming a good half of the land which was to become Riverdale. Thomas Budgen’s sketch of the late Mr. Sergeant Kemp’s property, 1800 (detail). The two areas marked C on the map form part of Lot 1, described as “the Western part of Dog Kennel Field”. 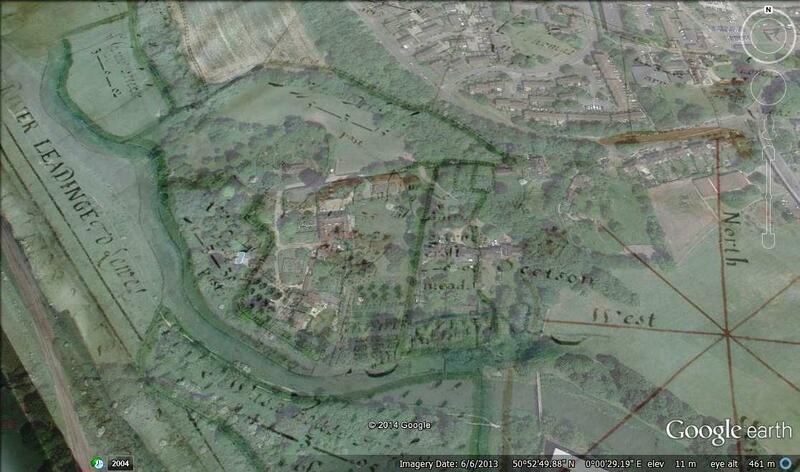 This is clearly Green Croft Meadow with the addition of part of Scotson’s land, and is essentially today’s Riverdale. Its area is given as 4A 0R 12P, which is what Riverdale would have been today but for the railway cutting, of which more below. The very ordered kitchen(?) gardens between the Deanery and the river have been replaced by fashionable lawns, trees, plantings, watercourses, and a laid out walk. 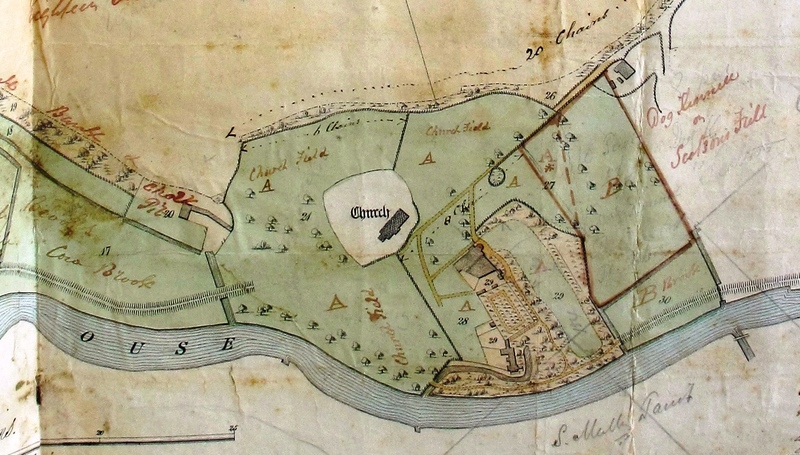 The Kempes had acquired land to the east from Scotson (marked F, G, H), and moved the kitchen gardens out of sight to G, the site of the current Glebe Cottage gardens and stables. The Deanery came into the ownership of the Courthope family in 1836 via Henry Campion’s sister Amelia, who was married to George Courthope. 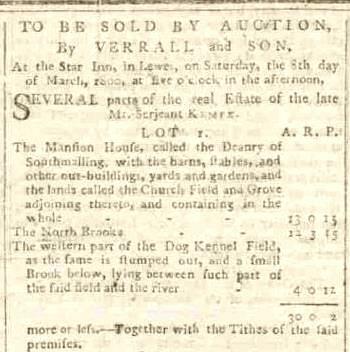 The Courthopes put the estate up for sale by auction in London on 23 June 1857. By now the estate had grown to encompass the entire piece of land enclosed within a loop of the River Ouse, totalling about 180 acres, and included the farmland previously owned by the Spence family. The old Scotson land labelled 2, 3, and 4 above appear to have been sold off, and the brooks south of the River Ouse in St John’s parish are not listed. 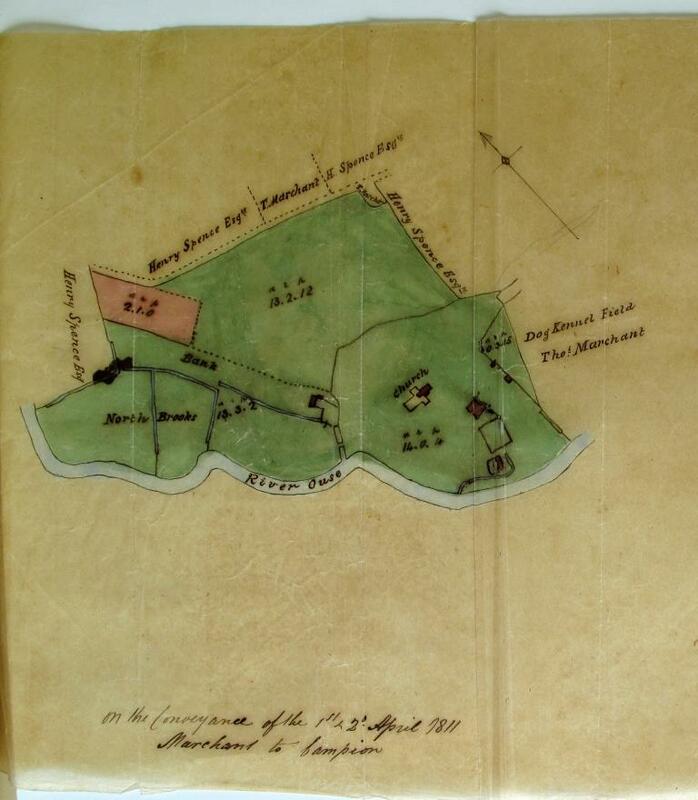 Solicitor Edmund Charles Currey bought the parts of the estate marked A and B in red on the map 18 above in April 1859, and the farmland was put back on sale. The meadows marked B and A*are clearly the early Riverdale, showing the drainage cut, and now also a dyke parallel with the river stretching its width and beyond. In 1864, the London, Brighton and South Coast Railway obtained authorisation to build a new line from Uckfield to Lewes. This was heavily engineered, requiring embankments and bridges such as those at Malling. 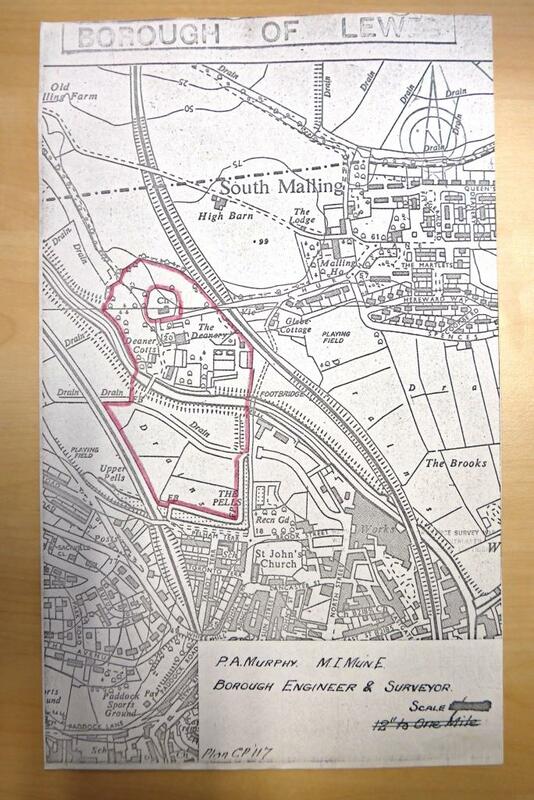 A draft conveyance of 22 December 1865 shows land in the Parish of Malling being sold by E.C. Currey to the London, Brighton & South East Railway Company for the Lewes and Uckfield Junction Railway.19 Currey received £2,250 for the sale of the section of the ‘Riverdale’ meadow labelled 21, part of his access road: 22, pasture north of his road: 23, and a tree plantation: 24. The overlaid map below shows the extent of the land sold to railway company. The company agreed to build a brick bridge with shore piers and caps over the cutting, and the embankment was to be turfed. This section of the railway opened on 1 October 1868. 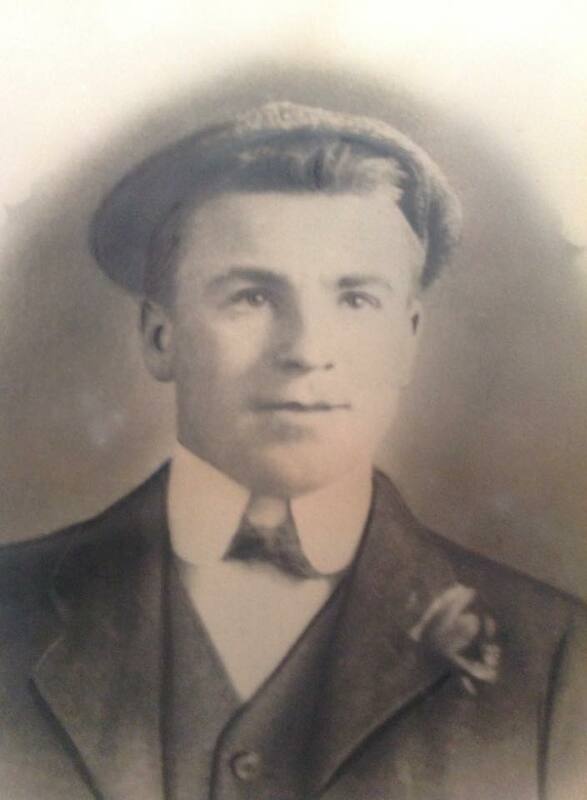 The new owner was a young gentleman named Andrew Duncan Macneill. Macneill embarked on a building spree, putting up the Deanery Cottages,21 and a number of farm buildings such as a small dairy. 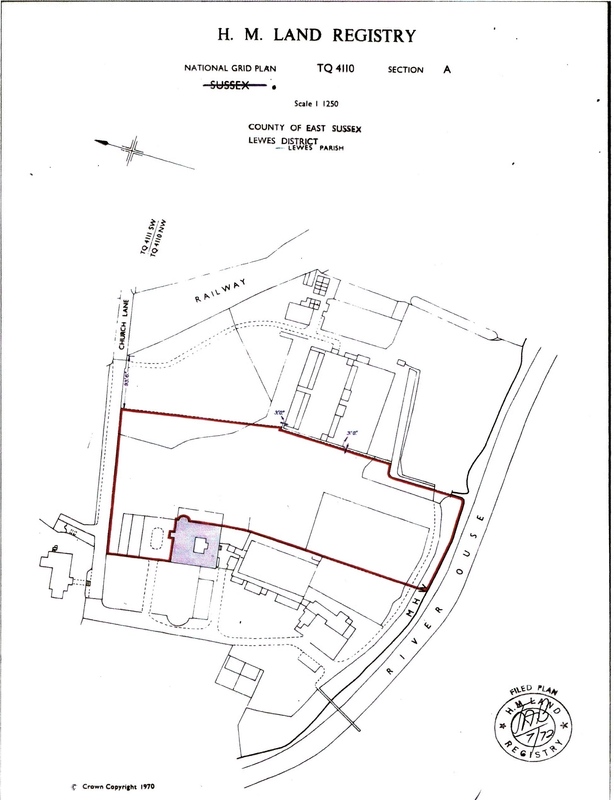 By 1908, an Ordnance Survey map (below) shows that he had built the New Garden in the ‘Riverdale’ meadow: a walled kitchen garden, divided into 2 sections, containing 4 large hothouses, and two brick and tile potting and tool sheds.22 A path led to this garden from the access road to the Deanery and South Malling Church, just past the bridge over the railway cutting. 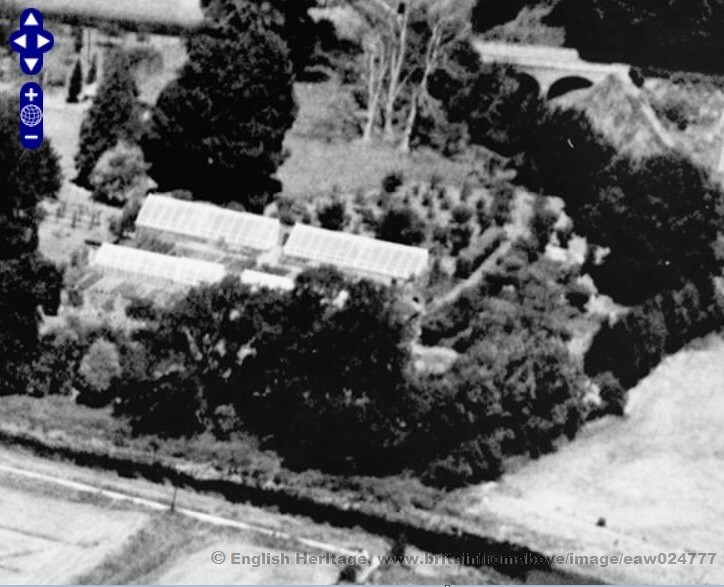 An Edward Reeves photo dated 1909 (negative number 882) confirms the existence of the newly built walled garden and the large hothouses. Mr Henry Cook was head gardener at the Deanery at this time, and at the 1911 Census he lived with his wife and son in the Deanery Cottages. He provided floral decorations for South Malling Church, and won numerous prizes at the Lewes and District Chrysanthemum Society Shows, including first prize for “Three bunches of grapes, black”24. Also in the photo are the railway cutting and bridge, and the river Ouse at the bottom of the picture. In between the hothouses are rows of crops, and the hothouse at top left even has 13 glass planes, one for each of the 13 vines. Panning out, we can see the walled kitchen garden in context within the grounds of Malling Deanery. The spire of South Malling Church is just visible North-West of the house. 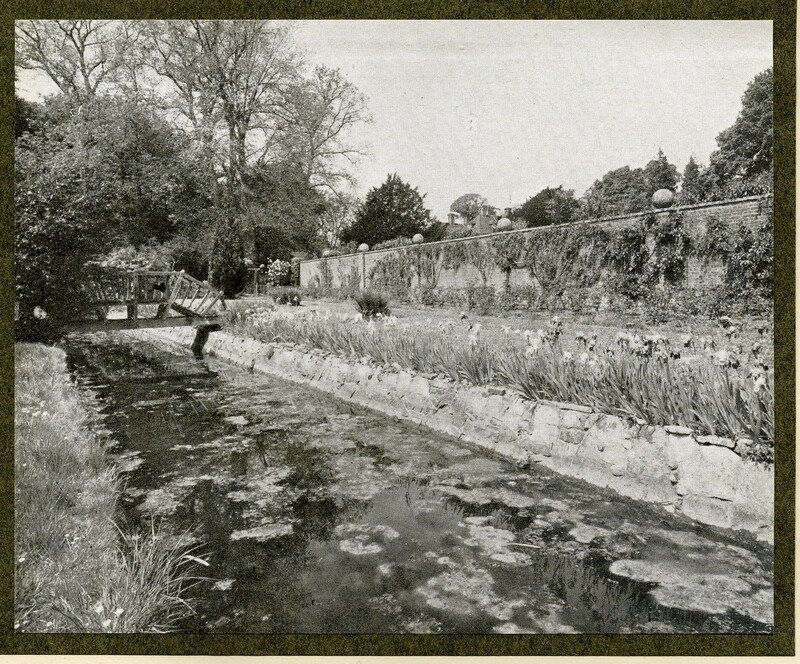 At last, we have found the “sweet rose garden and water garden” which the Sandersons had described to Susan Crossett. 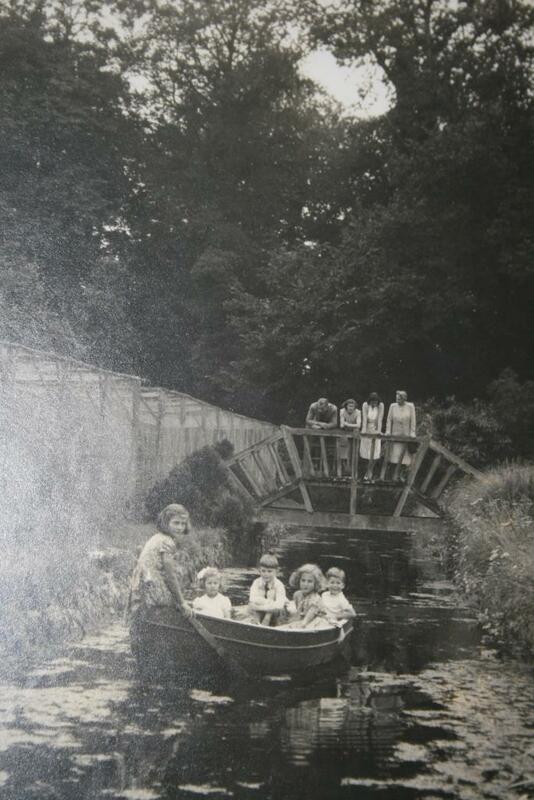 We can see the Sanderson family enjoying this charming spot in a slightly earlier photo: the grandchildren are boating in the water garden, while their parents look on from the wooden bridge. The question now is: however did this idyllic garden fall into rack and ruin, turning into a wasteland covered in brambles and thicket? Wine importer and hotel owner Robert Lamdin and his family bought the Malling Deanery estate from Sir Frank Sanderson in 1951. In the following years, Lamdin tried repeatedly to obtain planning permission to develop the grounds for housing, but was unsuccessful. 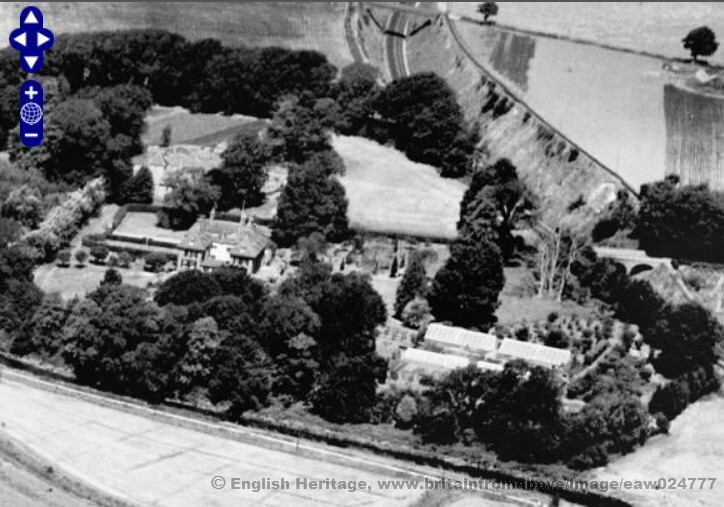 In early 1969, the Lamdins put the now Grade II* listed mansion and its 30 acre estate on the market. Meanwhile, Lewes-Uckfield railway line was closed down in May 1969. A North Walled Garden enclosed by a substantial brick wall and containing two large greenhouses on brick plinths, approximately 60’ x 18’ and 60’ x 12’. The South Walled Garden enclosed by a high brick wall and containing two lean-to Glass Houses, about 50’ x 9’ and 60’ x 9’. Attached to the walled gardens on the East side are 2 useful brick and tile Store Buildings. 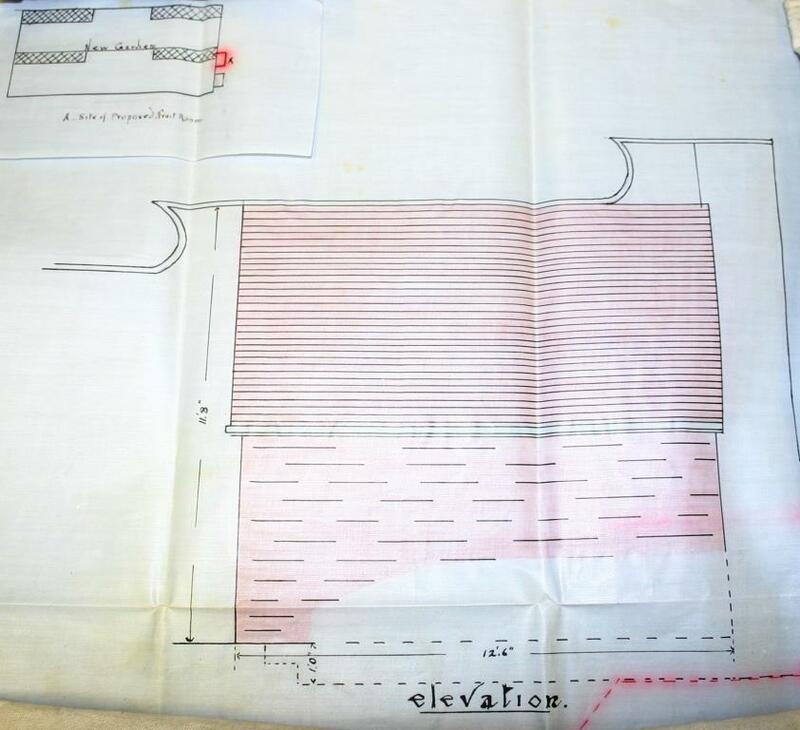 NOTE Outline application has been made…for erection of a dwelling house…to be used in connection with a Smallholding or Market Garden. 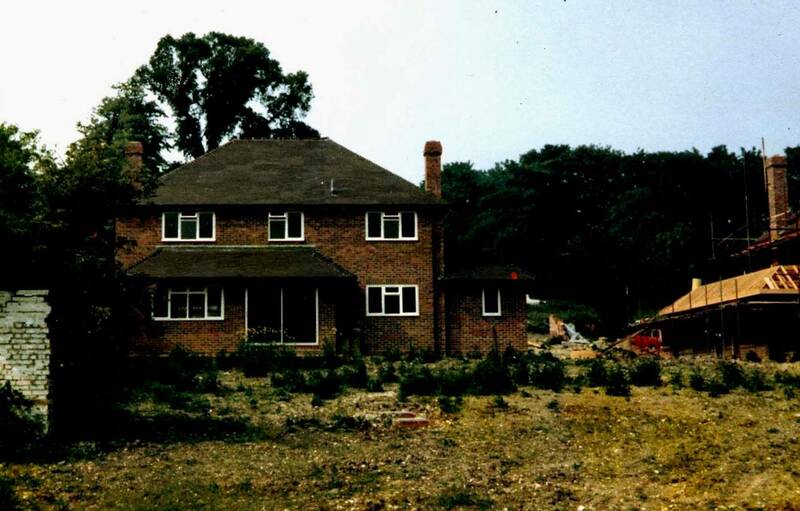 Bighill sold this plot to Jenner and Windsor Limited of Lewes on 30 June 1977,42 and they proceeded to build the current 4 houses on the plot, which would be named Riverdale. The builder bricked up the gateways into the walled garden (on the east and west walls) using new unmatching bricks, and punched jagged holes into the south wall to provide a way through to the river. The arched gateways were added later. Finally, Number 1 Riverdale was completed, and sold to the Crossetts in September 1978.45 The other three houses in the development were built in sequence, and number 4 Riverdale was sold to its first owners in April 1979.46 Numbers 1 and 2 were positioned such that they formed the northern boundary of the old walled garden, with their gardens enclosed within the remaining three walls, and extending beyond the Southern wall to the river. Numbers 3 and 4 were built outside the walled garden on the site of the old piggery. 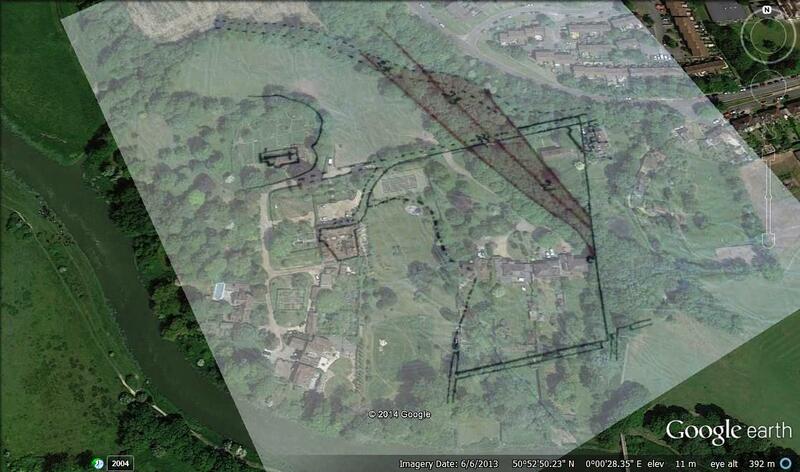 The ownership of the land from Church Lane down to the river is divided between the 4 houses. Meanwhile, the lady who had been keeping her horses on Riverdale bought the paddock land surrounding South Malling Church from Bighill Construction in April 1978.47 There appear to have been no planning applications submitted for the development of this land since a refusal in 1970. However, it was a different story for the last piece of development land: the holding across the river. For over a decade, the various developers applied to turn this low lying land first into an industrial area, then for warehousing, then recreation, followed by a sport and nature conservation area, all unsuccessfully. This was no doubt due to the difficulty in raising its level by controlled dumping, access problems, and because it was designated on the Town Map as public open space. It was last sold on in 2007. Garden design, construction, and planting by the Crossett family. I would like to thank John Kay, John Bleach, Colin Brent, Ann Holmes, Dee O’Connell, Esme Evans and Emma O’Connor and their staff at the Sussex Archaeological Society library and museum, staff at ESRO and Lewes Library, Susan Crossett, my neighbours, Johnny Coburn, Sharon Reid, Ruth Paull-Wills and other members of the Lewes Past Facebook Group for all their help in the preparation of this article.